John Lewis hit its busiest ever hour for online trade on between 9am and 10am on Black Friday with an average of 705 units being purchased every minute. The retail said: “At our distribution centres, we packed just over 10,000 units an hour – which is up nearly seven per cent on last year – and at our busiest period from 12pm to 1pm, this increased to 18,000 units. Overall traffic to the retailer’s web site was up 4.8 per cent on 2016. 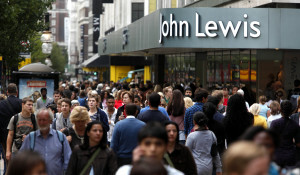 But it said the John Lewis app was the most popular way to shop with traffic peaking between 1pm and 2p – up 92.3 per cent on a 2016.